Solar United Neighbors helps communities go solar, join together, and fight for their energy rights. To do so, we need your help! Solar United Neighbors provides the technical expertise and consumer advocacy for communities going solar. We work closely with partners to spread the word about solar. Partner organizations help us bring new voices into the solar space. They vary in size and style, from municipal governments, to universities, to community organizations, to houses of worship. We share our success with our partner organizations and know that the best way to expand access to solar is by working together. Miami partners host a press conference to kick off a co-op. Want to help friends, neighbors, or clients go solar? Partner with us on a solar co-op! Solar United Neighbors’ unique solar co-op model brings people together, teaches them how to go solar, and helps them select a group installer through a competitive bidding process. Solar United Neighbors administers each of our solar co-ops in close collaboration with local partners. Our co-op partners run the gamut in size and structure, but they all work toward the same goal: Spread the co-op word within their network and help people access the co-op’s services. Partners work with Solar United Neighbors to create local outreach strategies, coordinate solar information sessions, and promote the co-op among their members. We’ve worked with a wide range of partners, including: municipal governments, universities/colleges, nonprofits, businesses, individual volunteers, and houses of worship. Businesses and universities have offered a solar co-op to their workforce as an employee benefit. Individuals have partnered with us to canvass their neighborhood with news of the co-op. Municipalities have hired Solar United Neighbors to kickstart the solar market within their jurisdiction. And the list goes on! We look forward to working with new partners in the future. 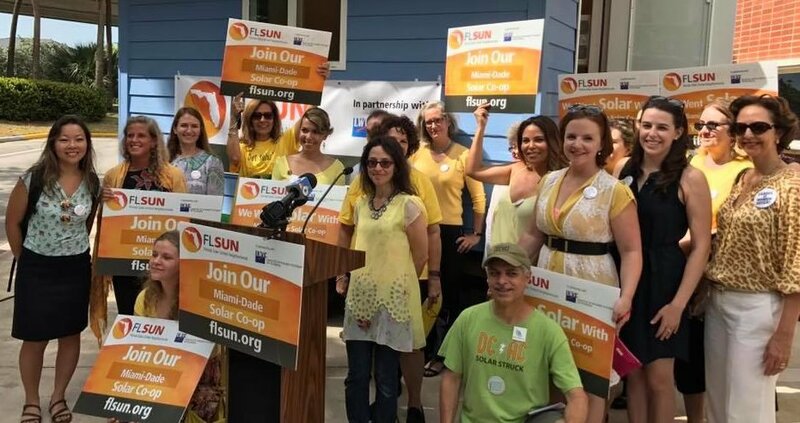 Solar United Neighbors coordinates annual Solar Congresses in each of the states where we work. Our Solar Congresses are free public conferences that teach attendees about emerging trends in solar and distributed energy, connect solar supporters from across the region, and provide a collaborative space to set the solar agenda for the state. Solar United Neighbors plans and facilitates each congress in close collaboration with partner organizations. We have worked with colleges and universities to host a Solar Congress on their campuses. Partnering at a Solar Congress can be especially meaningful for those educational institutions with solar coursework or renewable energy initiatives. Another way you can support our Solar Congresses is by volunteering to help with event set-up & break down, photography/videography support, and assisting with day-of logistics. Finally, to keep the events free and open to the public, we welcome donations from partner organizations. 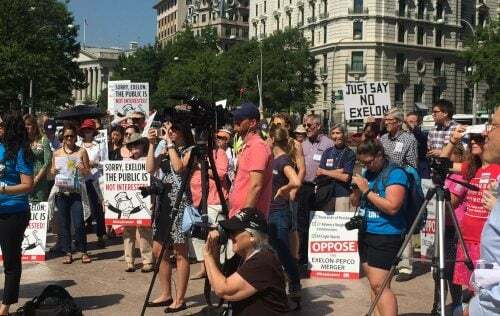 Solar advocates rally in opposition to the Exelon-Pepco merger in Washington, D.C. Solar United Neighbors fights to fundamentally change our energy system. We believe in a democratic, distributed energy landscape where everyone can invest in and benefit from emerging clean energy technologies. We help real people go solar and learn about our energy systems. We then mobilize them to fight for stronger distributed energy policies in their states, through local advocacy campaigns. Our campaigns have covered diverse topics – from protecting net metering in West Virginia, to fighting utility mergers in Washington, D.C., to expanding community solar options in Maryland. They are united by a common thread: diverse coalition support. Will you join us in our next campaign or do you have a campaign you would like us to support? Ready to partner? Contact us!